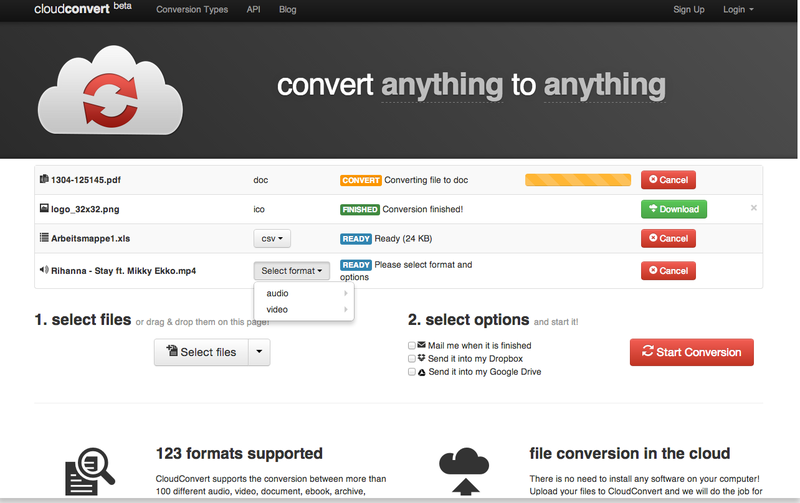 CloudConvert is a handy tool that allows you to convert files to almost any format you want. We have been tinkering with it for a while and found it really interesting. CloudConvert is available as a web tool, iPad app, and Chrome extension. You can use it for cross-files conversion as it supports the conversion between more than 200 different audio, video, document, ebook, archive, image, spreadsheet and presentation formats. More importantly, CloudConvert is integrated with Google Drive allowing you to easily convert your Drive files the way you want. It is also integrated with other popular cloud storage services such as Dropbox, OneDrive, and Box.